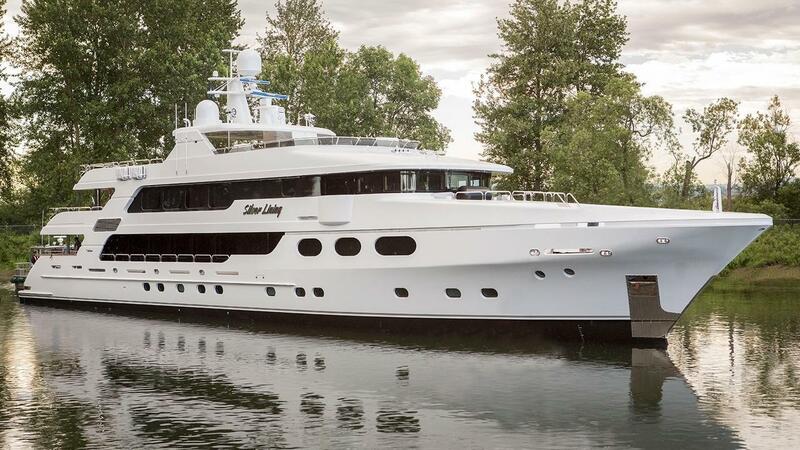 Luxury motor yacht SILVER LINING (Ex Perfect Pursuit) is a 50-metre composite vessel launched in 2017 by Christensen Yachts. 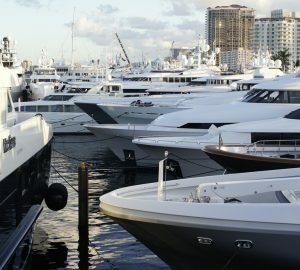 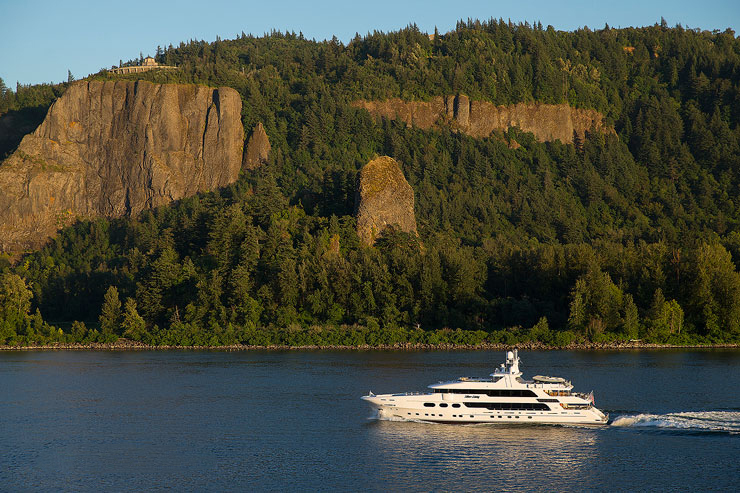 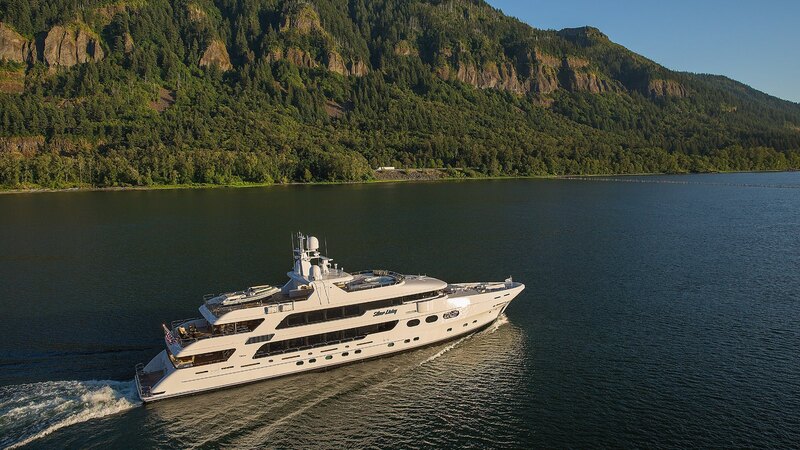 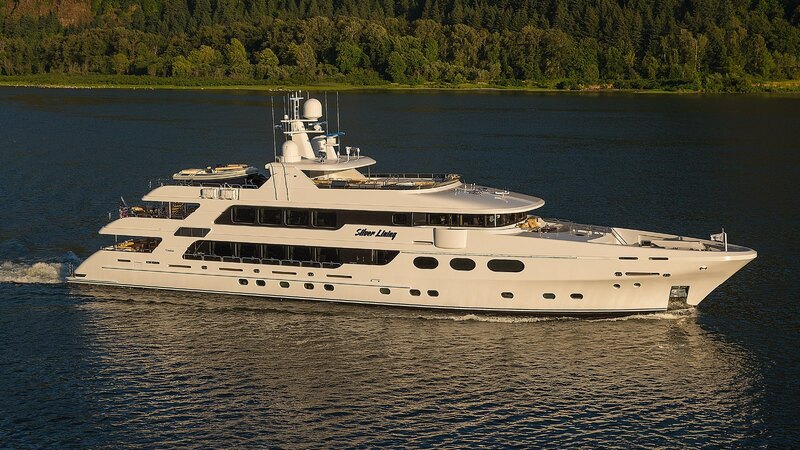 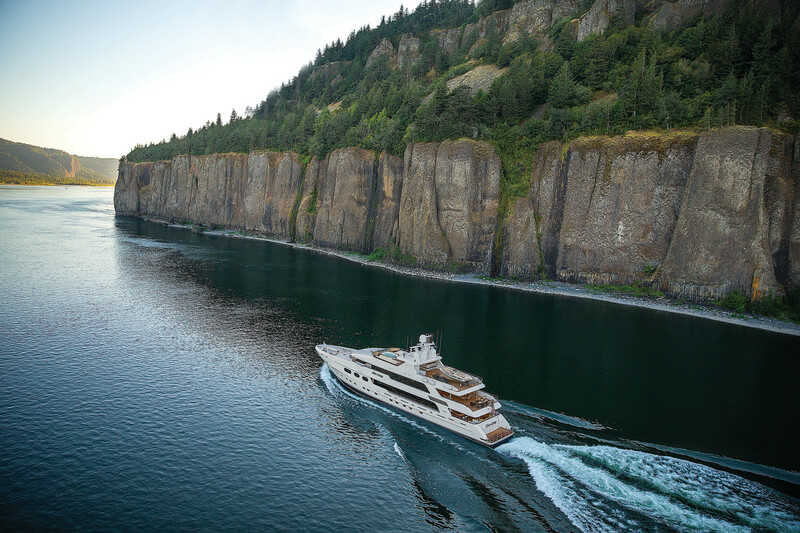 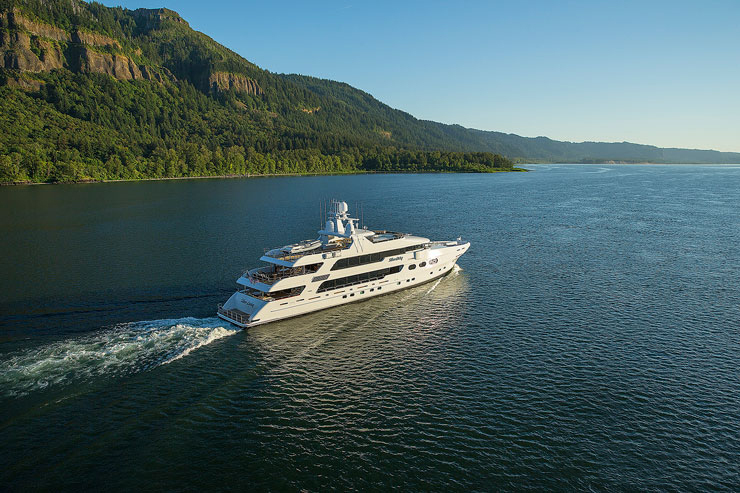 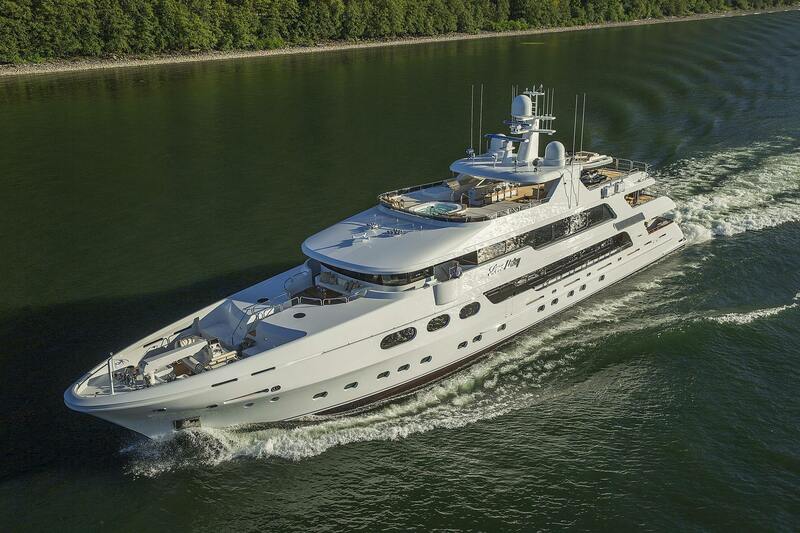 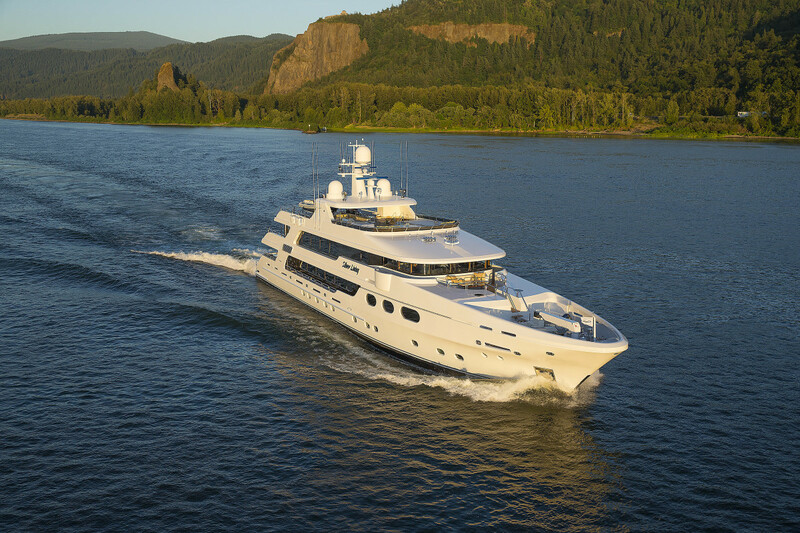 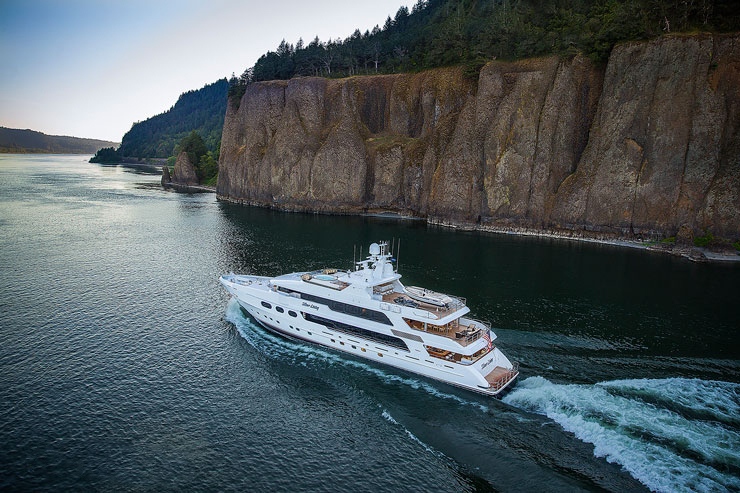 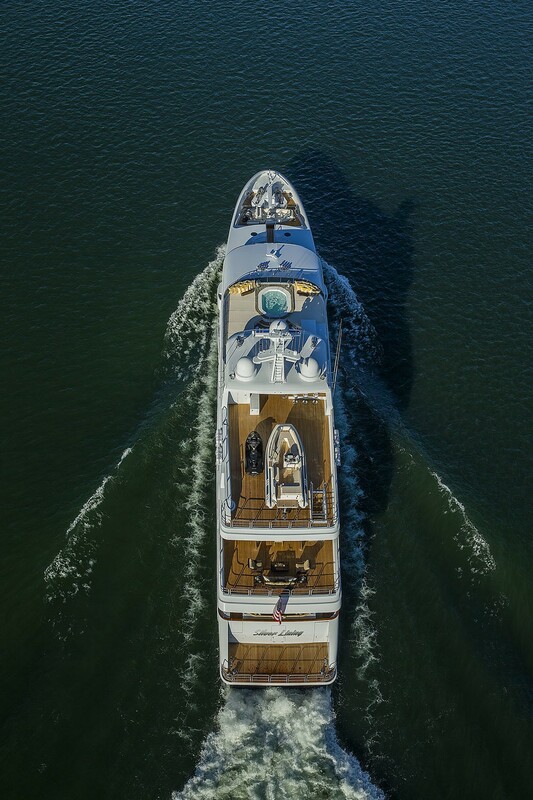 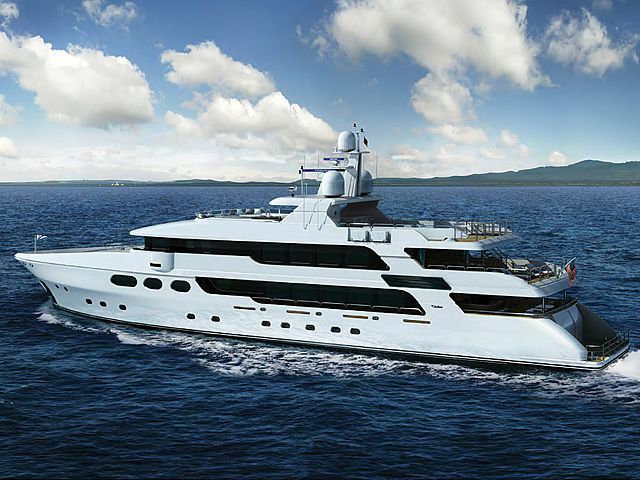 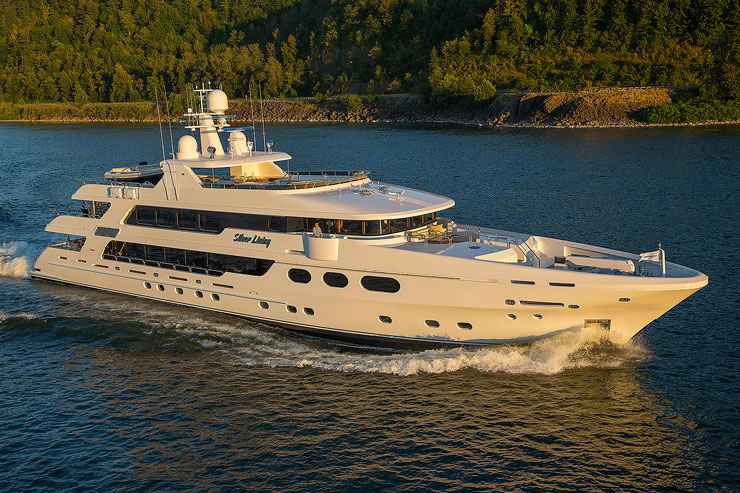 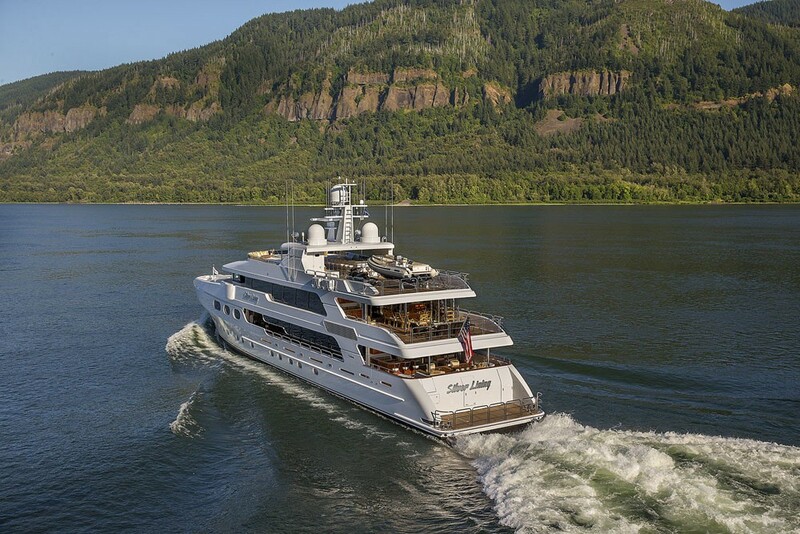 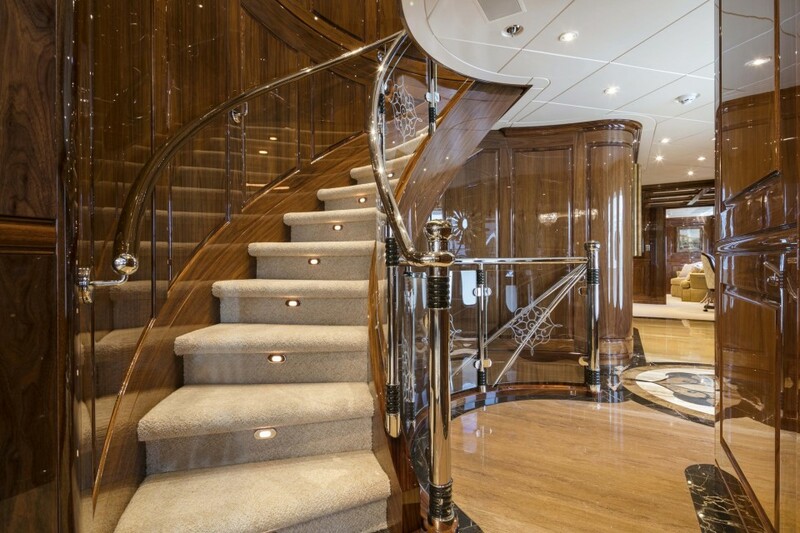 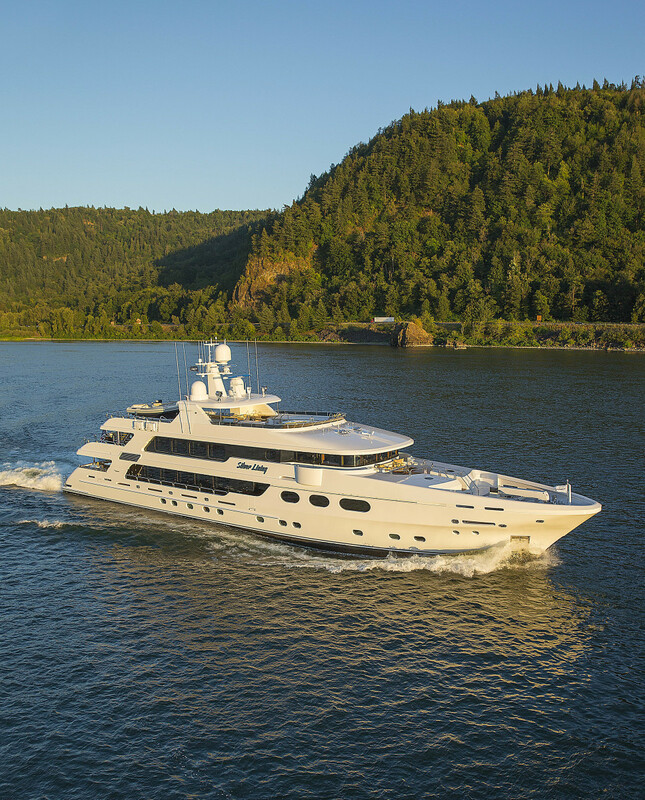 Her modern exterior design and engineering are both designed by Christensen Yachts. 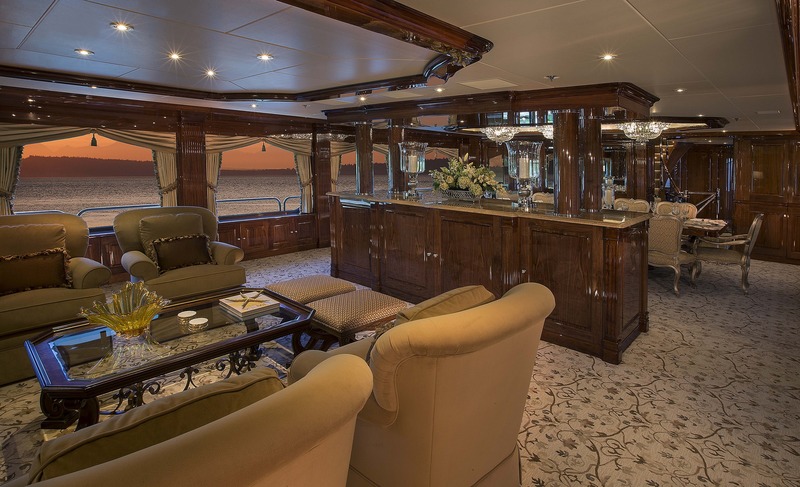 She can accommodate up to 12 charter guests, in 6 spacious staterooms. 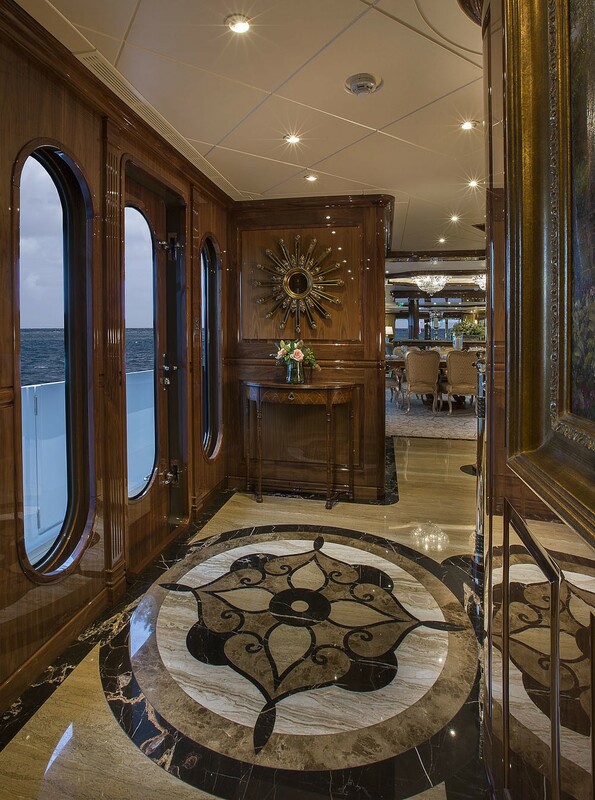 The interior design is the work of Carol Williamson & Associates and reflects an elegant and classic styling, featuring opulent custom furnishings, beautiful wood finishes and exquisite attention to bespoke detailing. 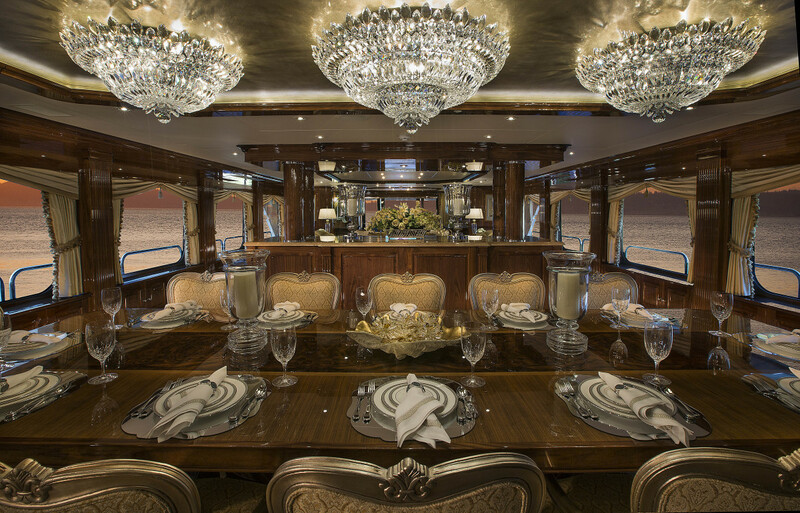 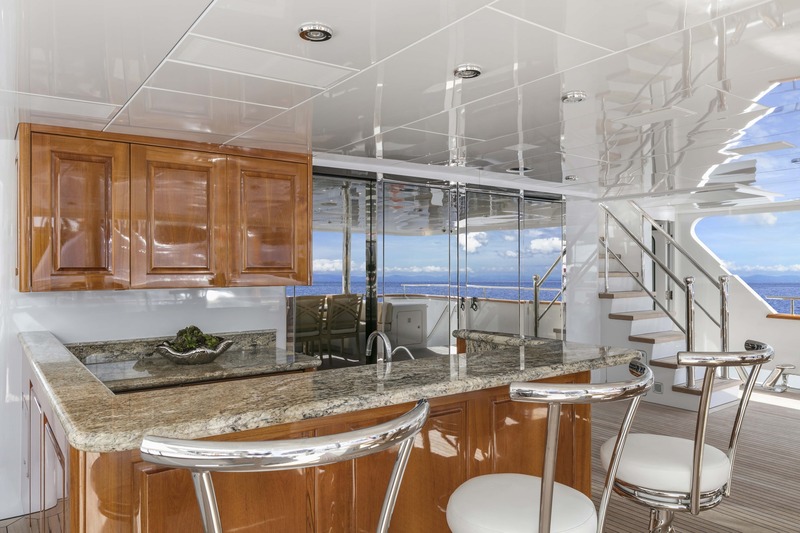 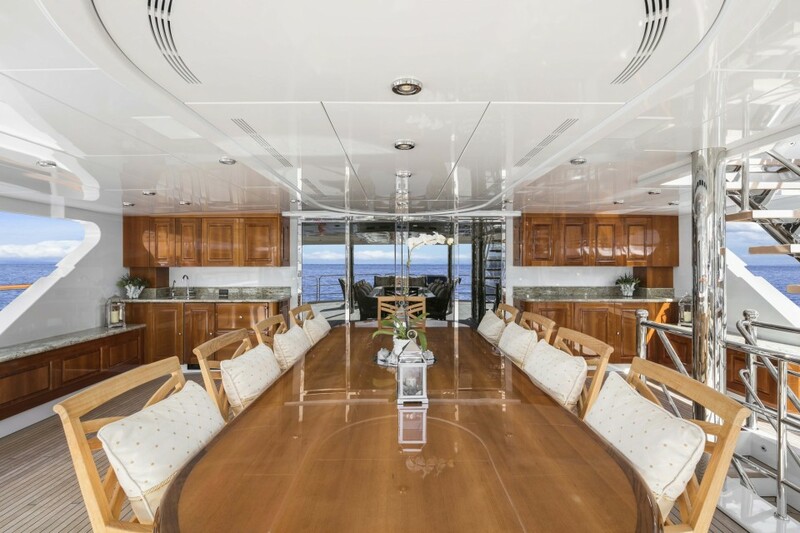 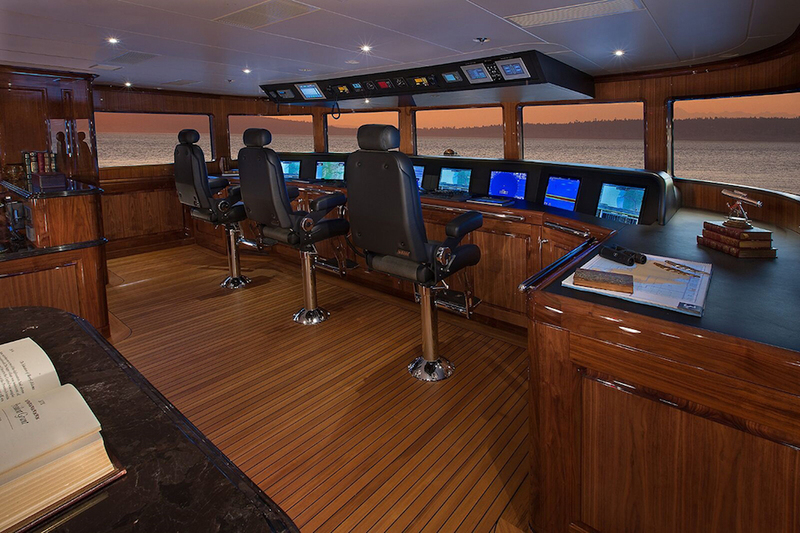 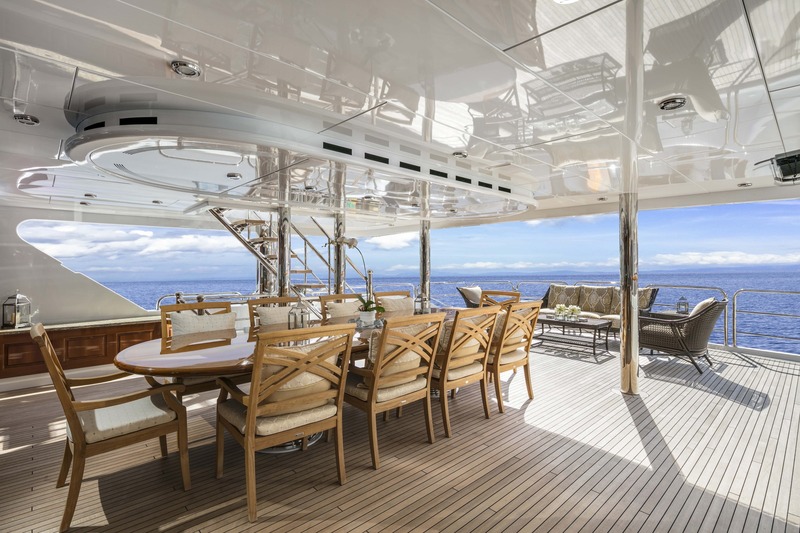 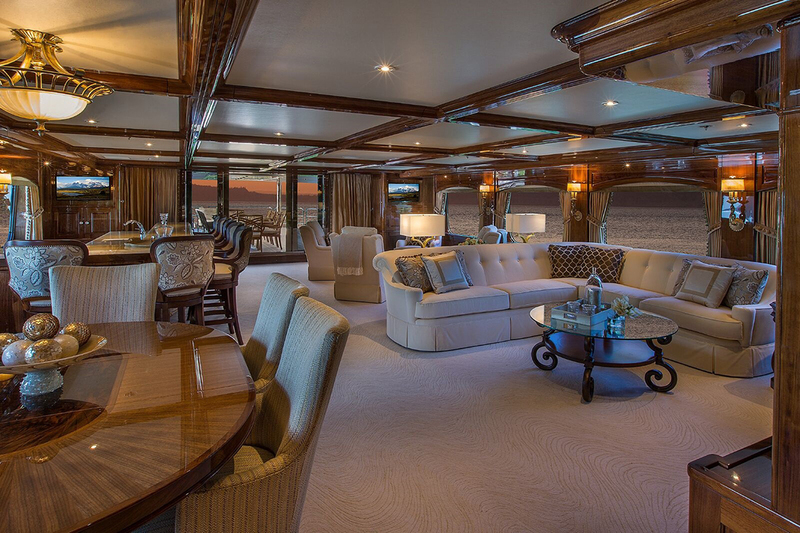 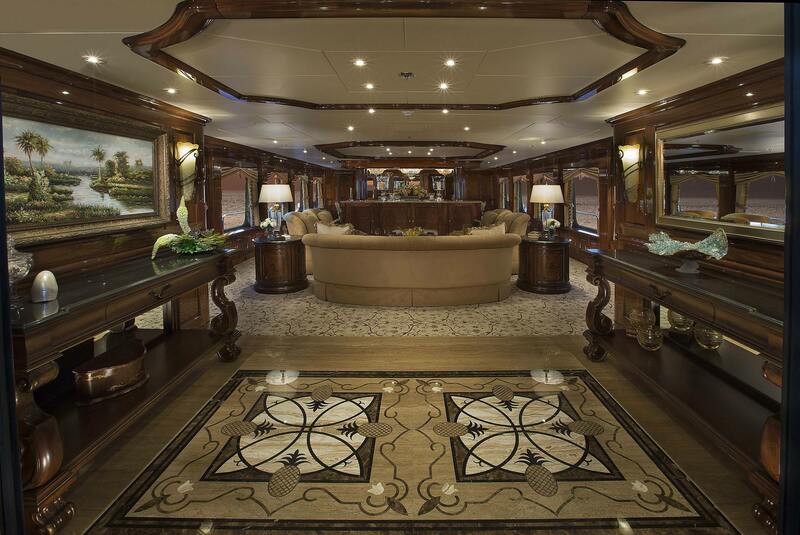 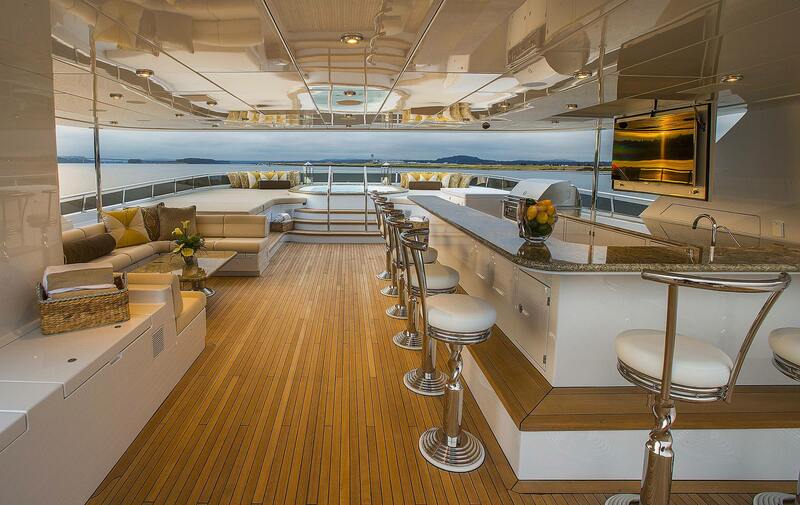 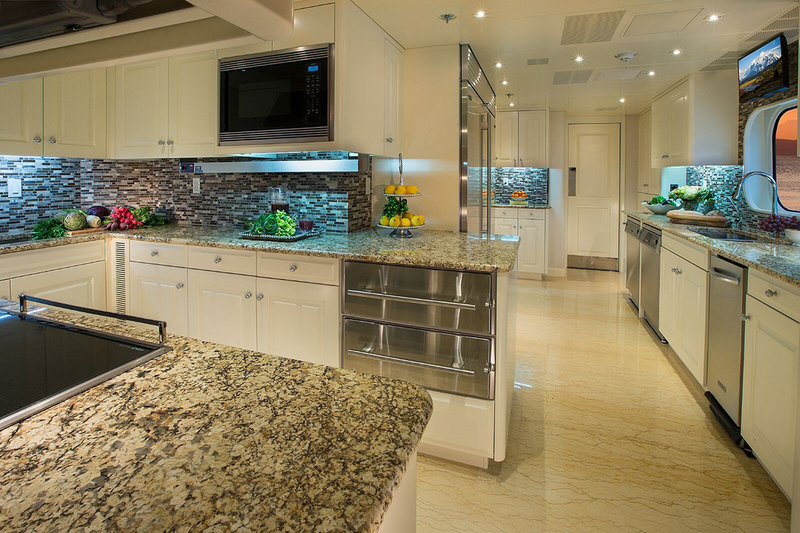 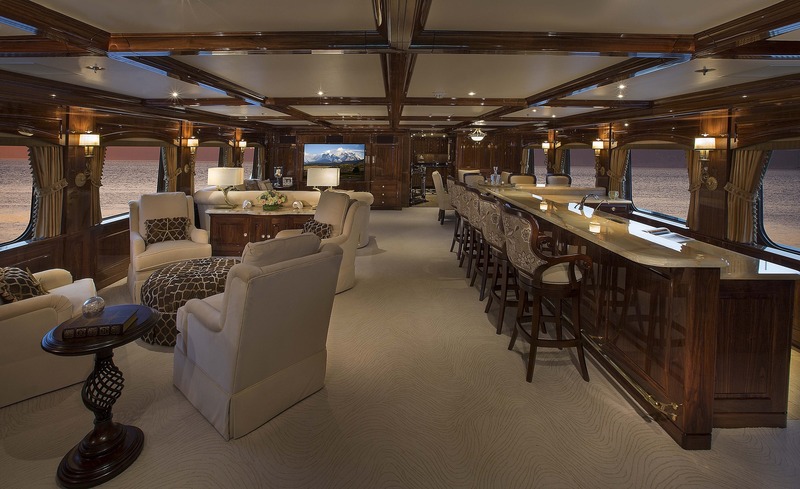 The main yachts deck offers a generous salon with large panoramic windows and a formal dining table forward. 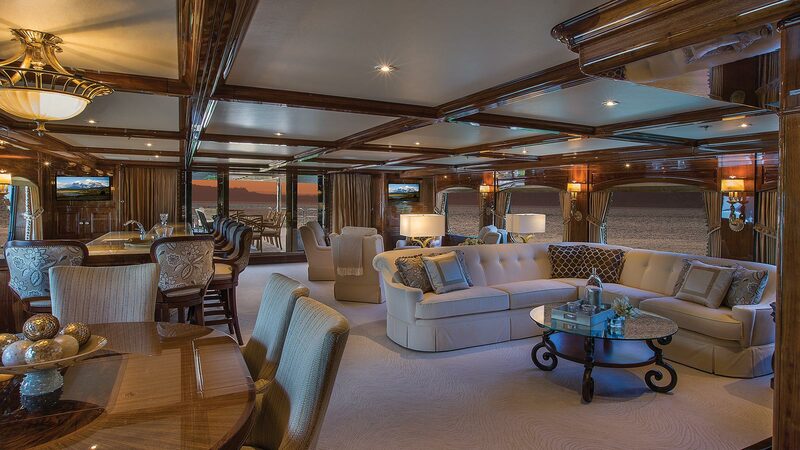 Space has a grandeur aft foyer, which leads directly to the salon lounge, which has been furnished in plush soft goods, with soft lighting and coffee tables. 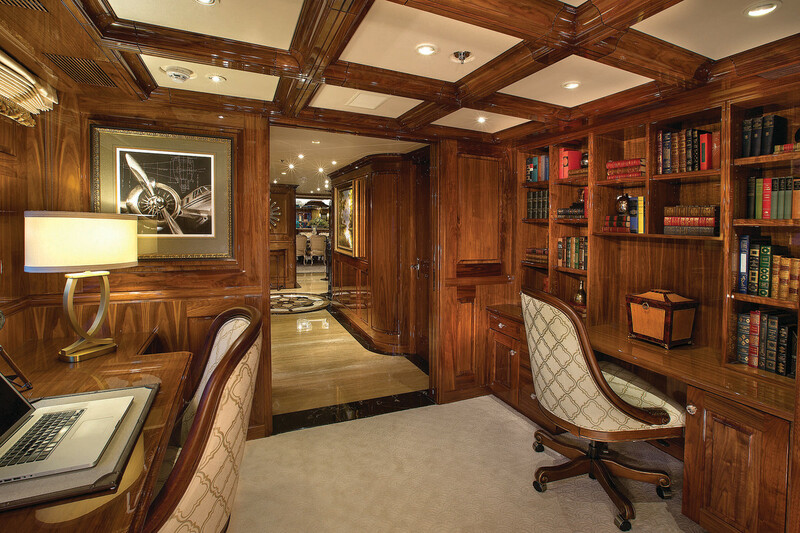 An island credenza sits unobtrusively between the salon lounge and formal dining forward. 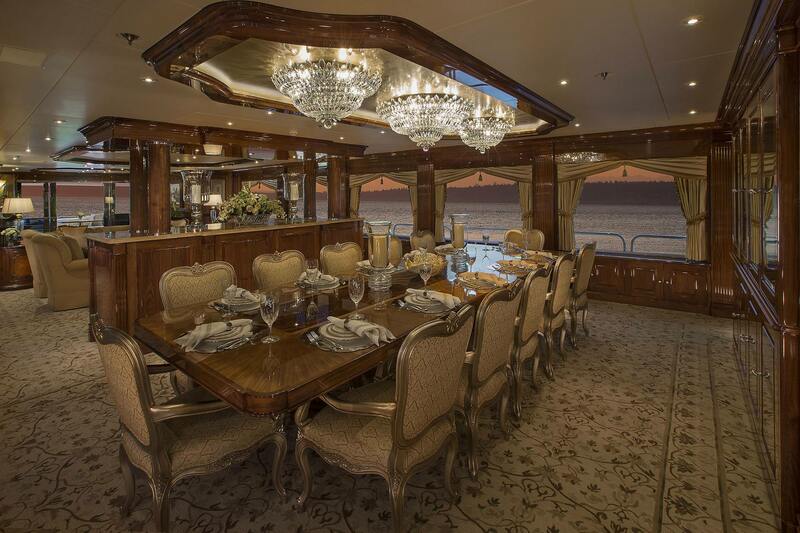 Her dining table seats all 12 guests with ease and boasts three overhead chandelier lights. 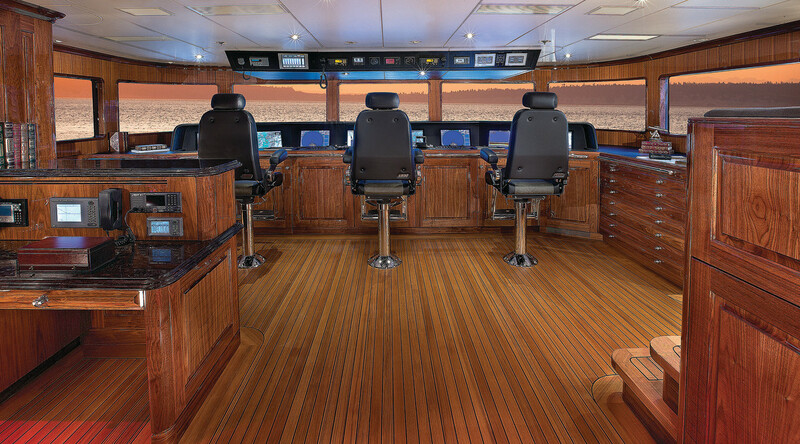 The main deck continues forward on starboard to a day head, followed by a private entrance to the full beam master stateroom. 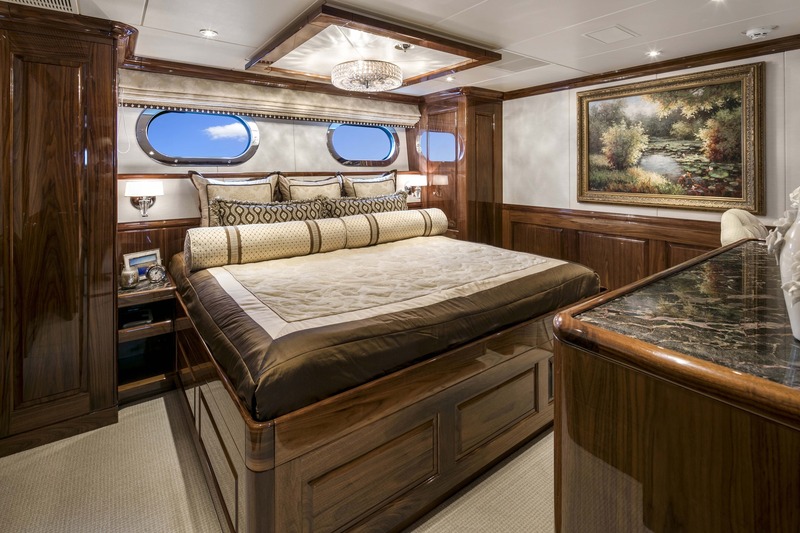 The master cabin is exceptionally luxurious with a private study upon entering, followed by the roomy stateroom, offering large in hull windows for unrivaled views, a king size bed, vanity, and seating. 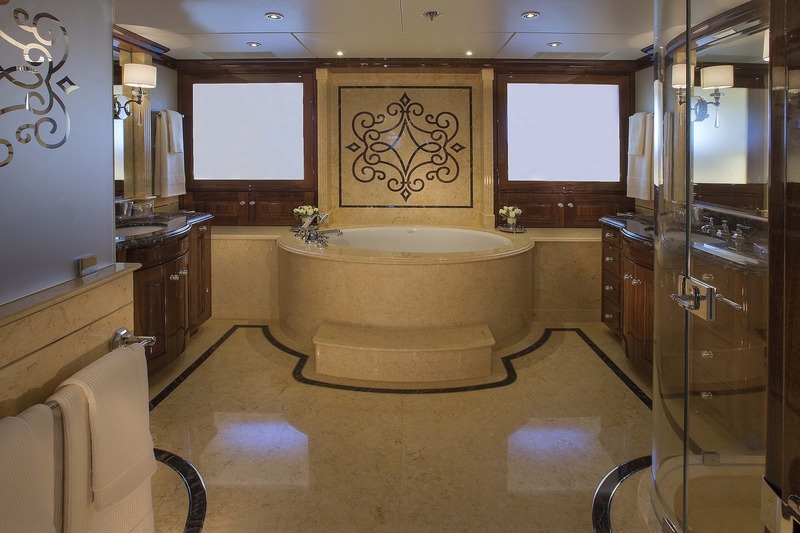 A stunning ensuite is complete with custom stonework, his and hers sinks and oversized centered shower. 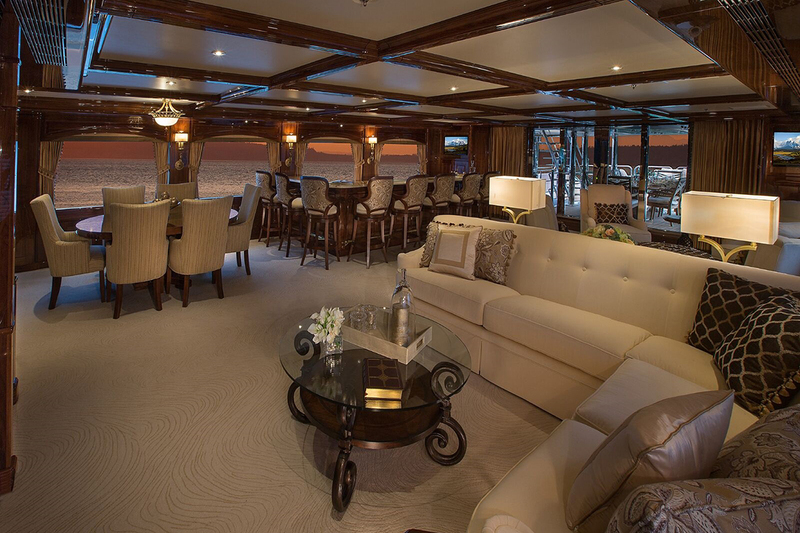 The sky lounge is a fabulous entertaining venue, offering plenty of lounge space, games table, full wet bar and incredible sea views. 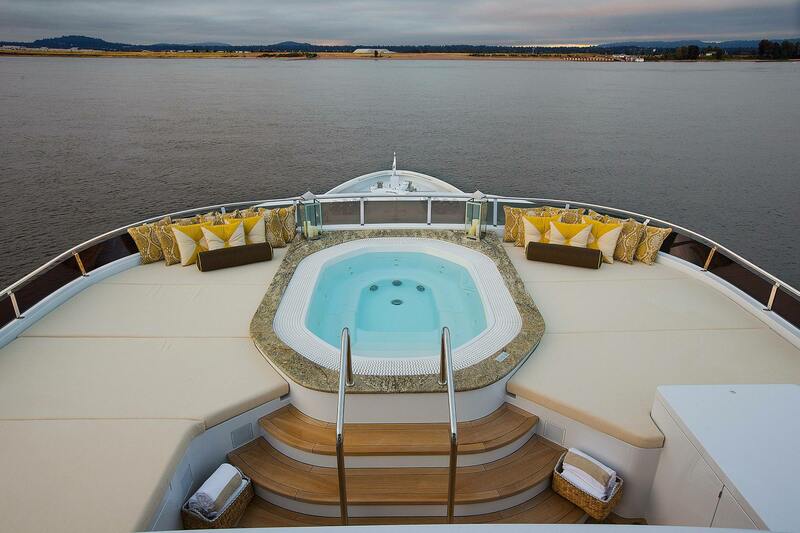 Another five guest cabins are located n the lower deck. 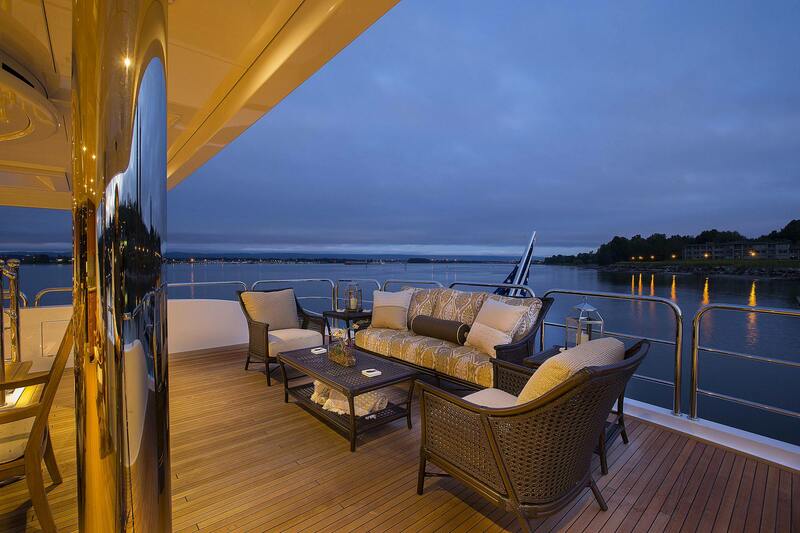 The exterior living is laid over three functional and spacious decks. 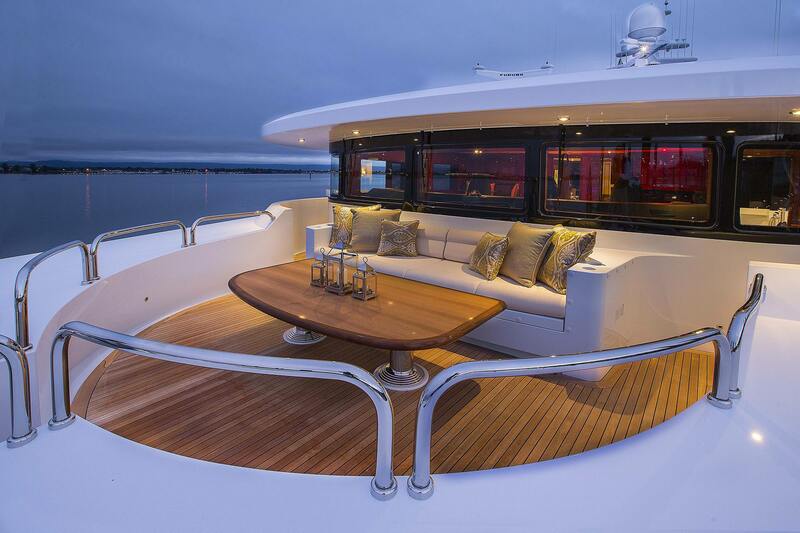 The aft deck which is adjacent to the main salon, shaded and has a built-in seating area and tables. 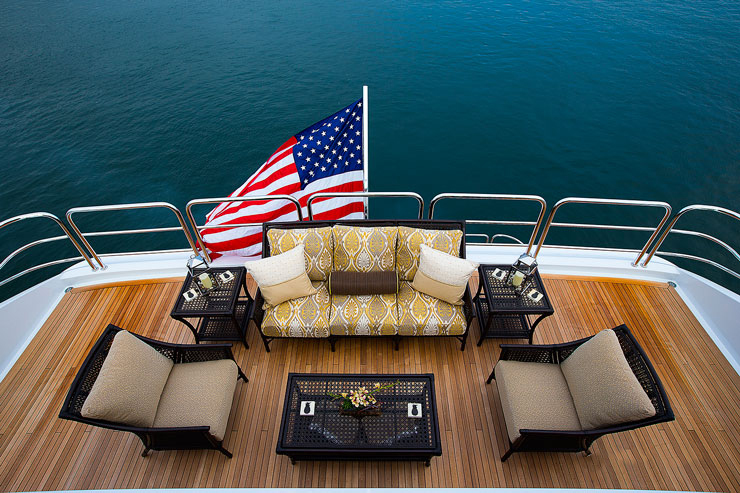 From the main aft deck, guests will find enjoying the water toys effortless, from the extended swim platform. 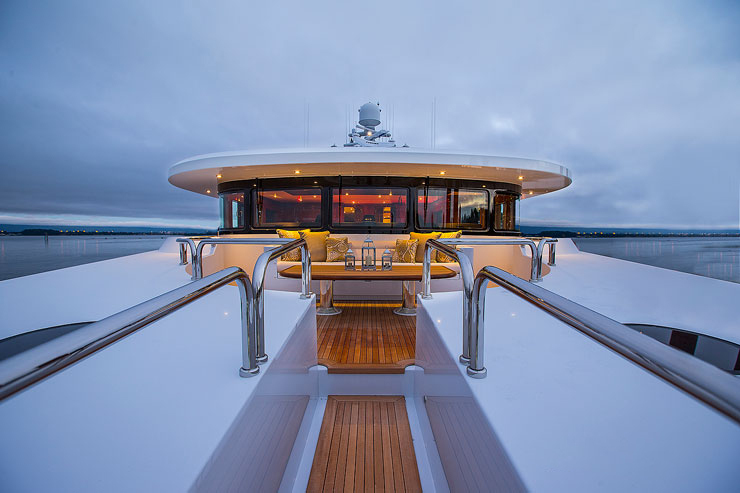 The upper aft deck leads directly into the sky lounge; this deck boasts an alfresco dining option, ample outdoor lounge seating, tables and partial shade. 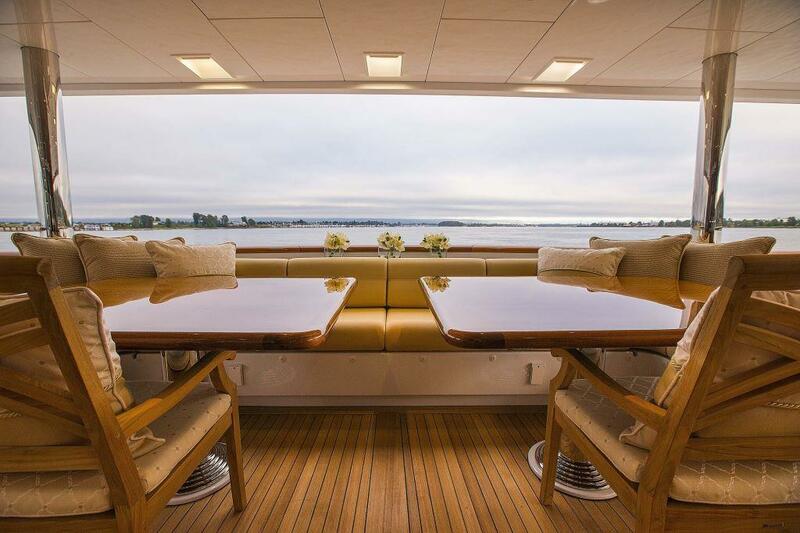 Further forward on the upper deck, a Portuguese style foredeck offers a more intimate seating area, with a table. 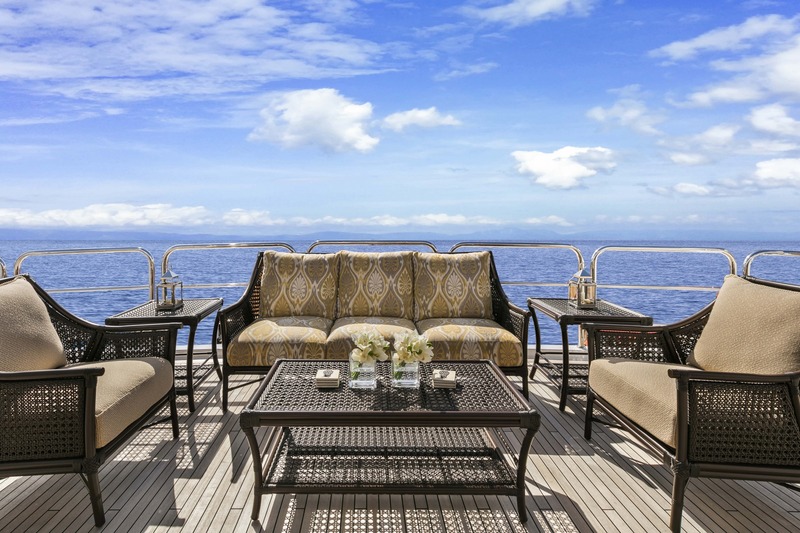 SILVER LIINING’s sundeck is ideal for socializing or simply relaxing, offering something for everyone. 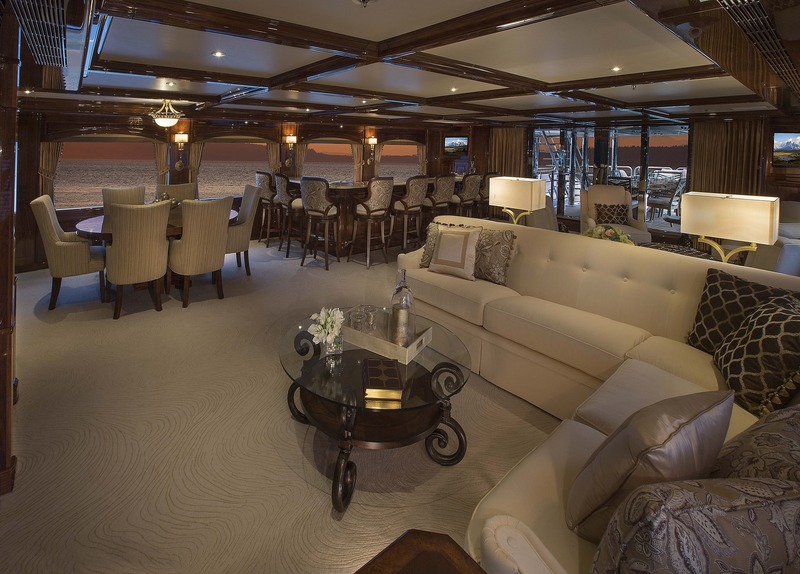 Here guests can enjoy a cocktail from the fully equipped bar with BBQ service station, dine alfresco in the shade, soak in the deluxe raised Jacuzzi and lounge on the surrounding sun pads. 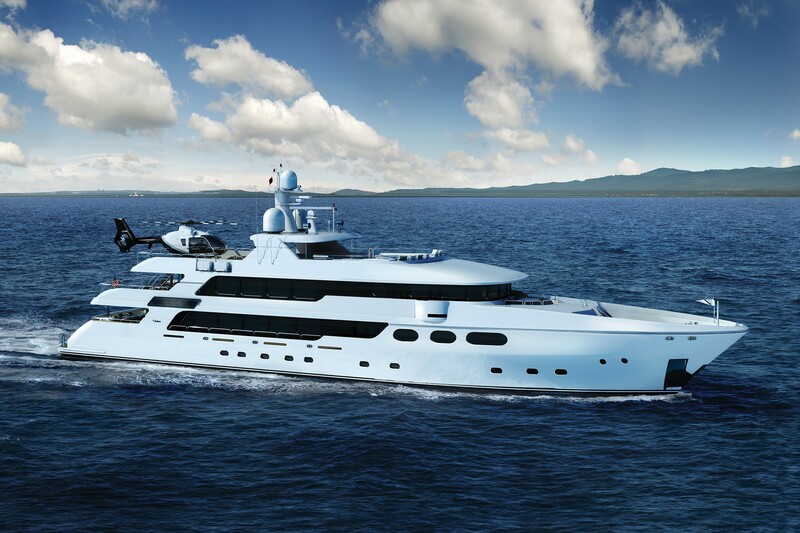 Powered by 2 MTU 1,770bhp engines, capable of 11 knots cruising and top speeds of 14 knots. 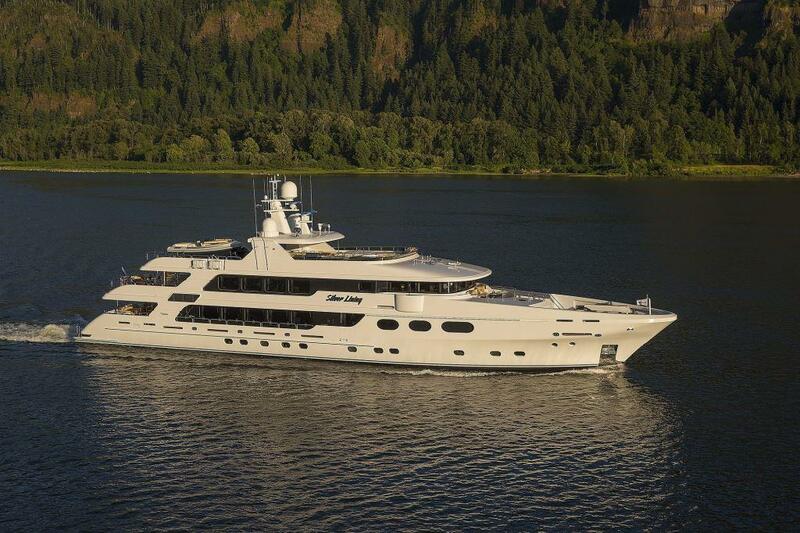 She is fitted with both at anchor and underway stabilizers. 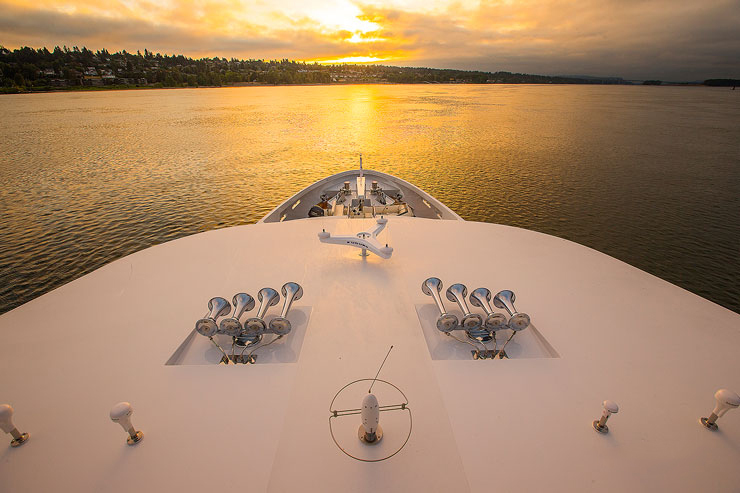 Accommodation is in 1 master stateroom, 1 VIP cabin, and 4 guest cabins, for up to 12 charter guests. 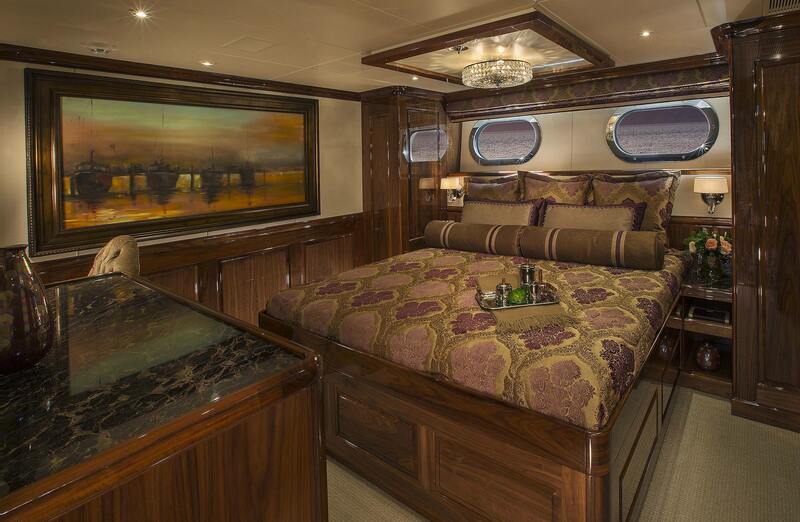 The master stateroom is on the main deck forward of the salon and full beam of the yacht, with a private study upon entering, king size bed, vanity, seating and full beam stone ensuite, complete with his and hers sinks. 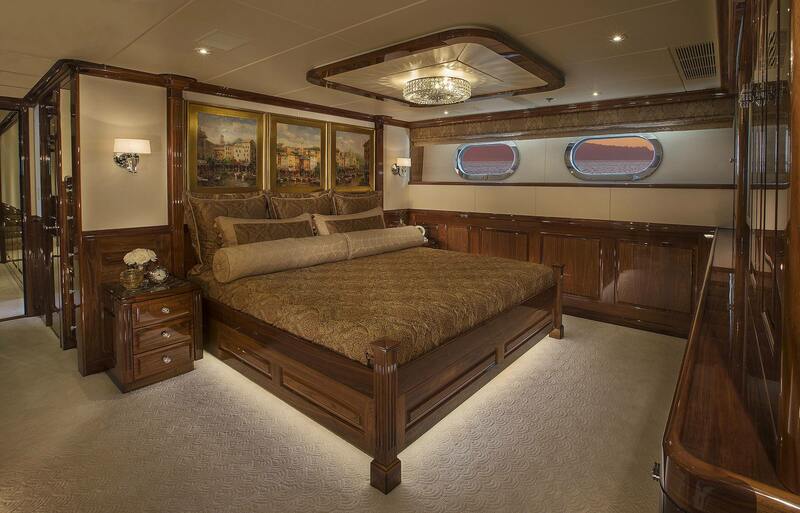 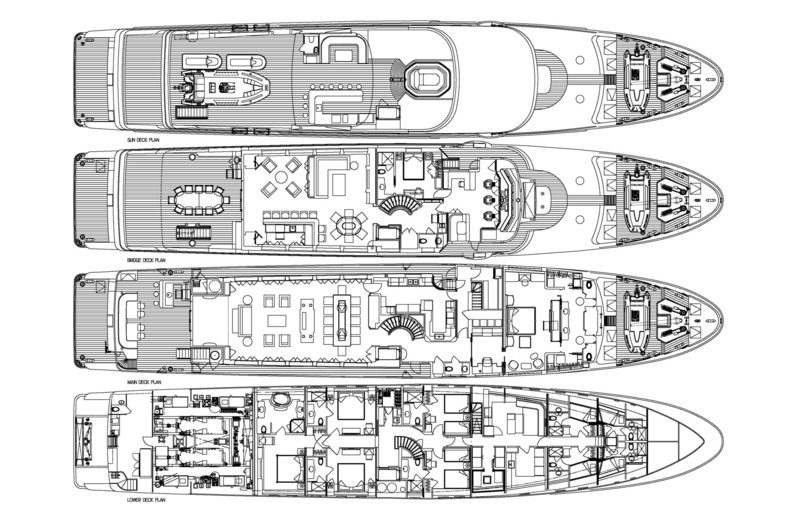 On the lower deck aft is a full beam VIP cabin, offering a king size bed and large ensuite with tub. 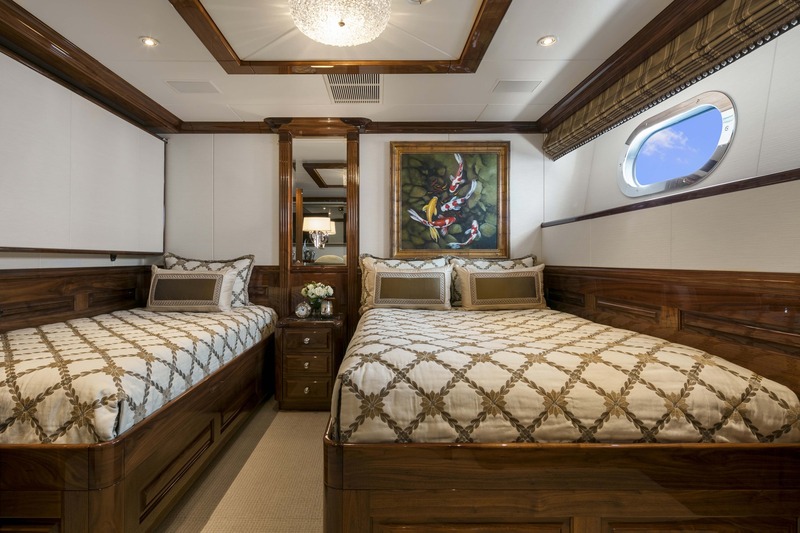 Two mirror image double cabins each have king size beds on port and starboard of the yacht. 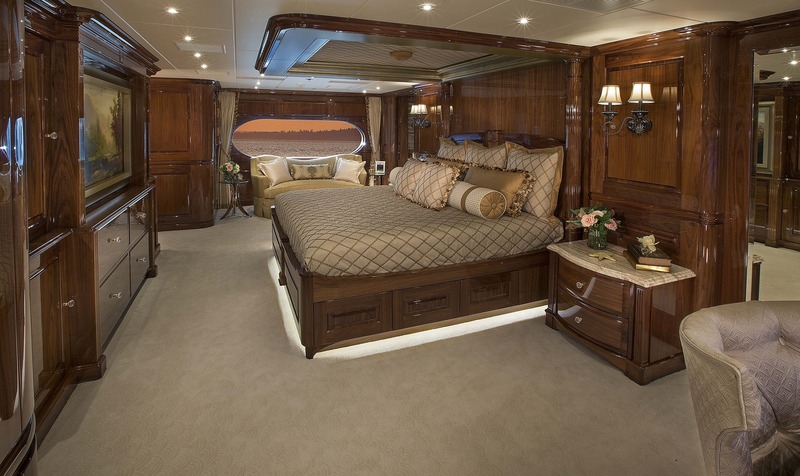 A further two guest cabins also feature mirror image layouts, with a double bed, twin bed and Pullman berth each. 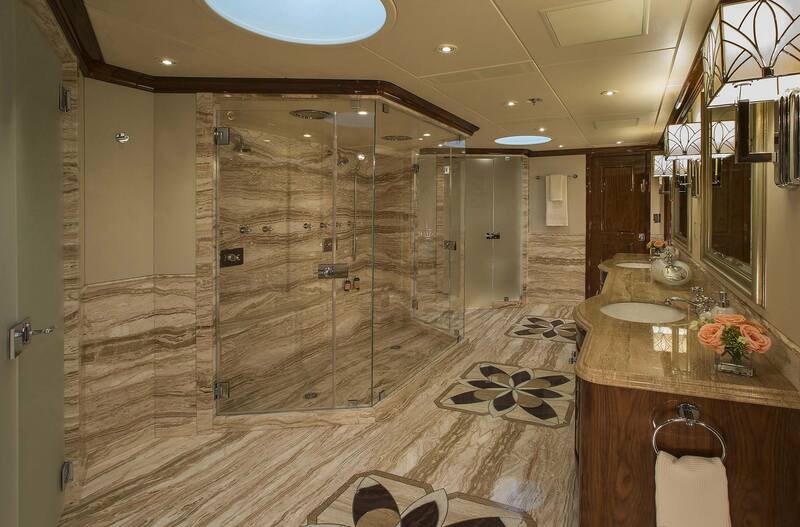 All guest cabins offer private ensuite facilities.